President Trump's administration announced a new set of rules to tighten travel to Cuba, but there is no impact yet on scheduled Royal Caribbean sailings to Cuba. New measures Bolton announced include limits on non-family travel to Cuba and a cap on the amount of money US families can send their Cuban relatives. The Trump administration also announced a new policy allowing Americans to sue foreign firms operating in properties Cuba seized from them following the 1959 revolution. 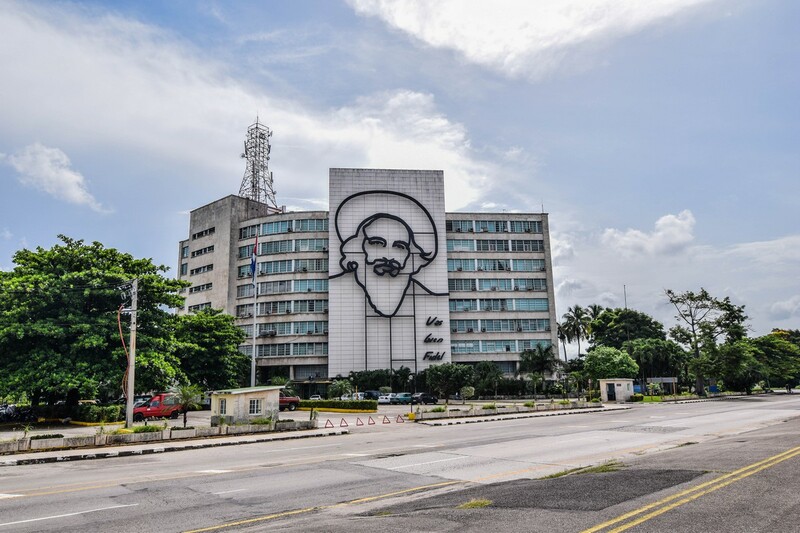 This would enable lawsuits against foreign companies that operate from hotels, distilleries and other properties Cuba nationalized after Fidel Castro's takeover. Travel Market Report quoted Royal Caribbean Cruises Ltd. Director of corporate reputation Melissa Charbonneau, "We’re reviewing the recent statements to evaluate their impact on our guests and our company. For now, we are sailing our Cuba itineraries as scheduled and will keep our guests updated if anything changes." Royal Caribbean has been cruising to Cuba since 2017 when Empress of the Seas made her inaugural visit. Today, Majesty of the Seas and Empress of the Seas visit Cuban destinations including Havana, Cienfuegos, and Santiago de Cuba. Royal Caribbean offers regular cruise sailings to the island of Cuba, where guests can enjoy the Cuban culture, history and cuisine that has been a signature of the country for centuries. Vibrant culture. Iconic music. Storied architecture — there really is nowhere in the world quite like Cuba. Royal Caribbean visits three one-of-a-kind ports around the island, with two ships that sail to Cuba regularly. Many itineraries offer overnight stays in the capital of Cuba, Havana. Two Royal Caribbean ships can currently visit Cuba. The Cuban port infrastructure is limited, so only smaller cruise ships can fit into the docking facilities. Royal Caribbean brought back Empress of the Seas into the fleet specifically to offer cruises to Cuba. Empress of the Seas offers cruises to Cuba from Miami, Florida on a refurbished 1,602 passenger vessel. Guests sailing on Empress of the Seas will enjoy curated people-to-people experiences designed to immerse them in the country’s architecture, cuisine, music, art and natural beauty. They’ll explore Old Havana—a UNESCO World Heritage site—as well as a rum museum, Hemingway’s former residence, a local artisan market, and more. With the popularity of cruising to Cuba, Royal Caribbean added Majesty of the Seas to the roster of cruise ships sailing to Cuba. Majesty of the Seas began offering cruises to Cuba in 2018. 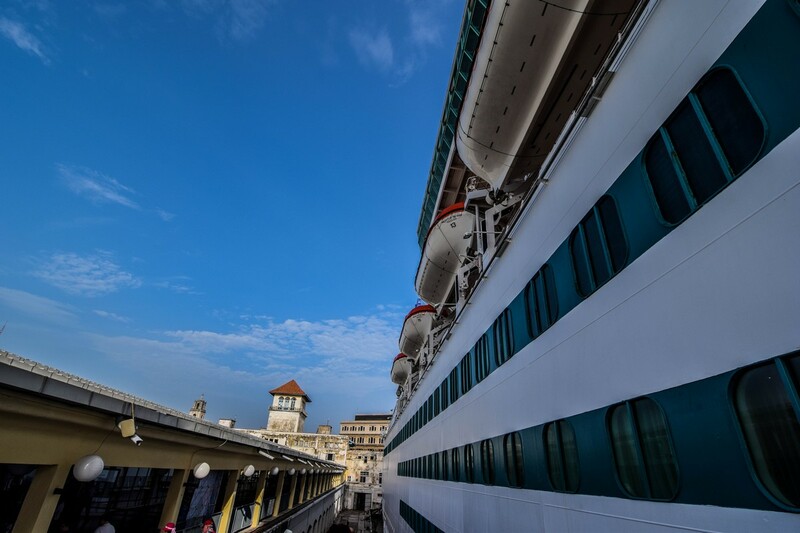 Sailings to Cuba on Majesty of the Seas leave from either Tampa or Fort Lauderdale to Havana, and includes stops elsewhere in the Caribbean such as Cozumel, Key West or Nassau. Majesty of the Seas underwent a dry dock in 2016 that added new upgrades and received new onboard amenities. 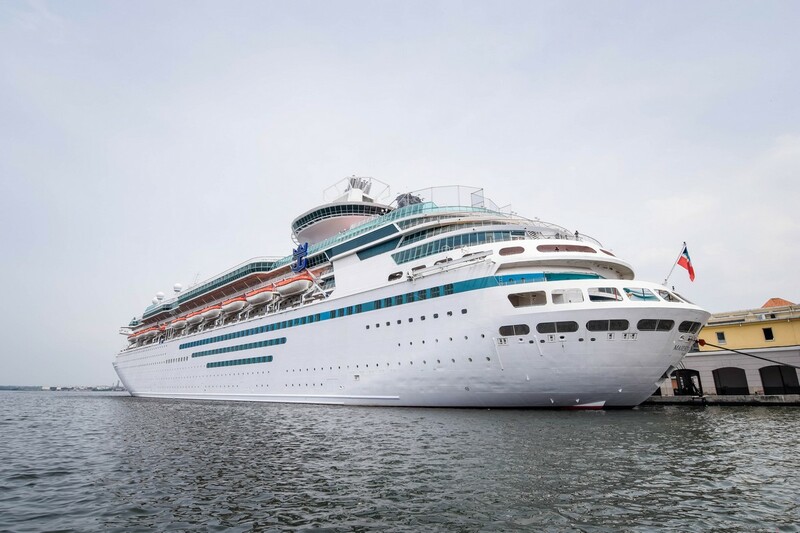 Guests on Majesty of the Seas can enjoy Voom high speed internet to stay connected, brag about their vacation to friends and family, stream their favorite movies and music, and enjoy popular online video gaming. Splashaway Bay, an interactive aqua park for kids, features a vibrant waterscape for kids and toddlers with sea creature water cannons, winding slides, a gigantic drench bucket and a multi-platform jungle-gym. In addition, the pool deck was revamped to include a new expanded bar area, family-friendly Jacuzzis and a poolside movie screen. Royal Caribbean sails to three incredible destinations in Cuba. 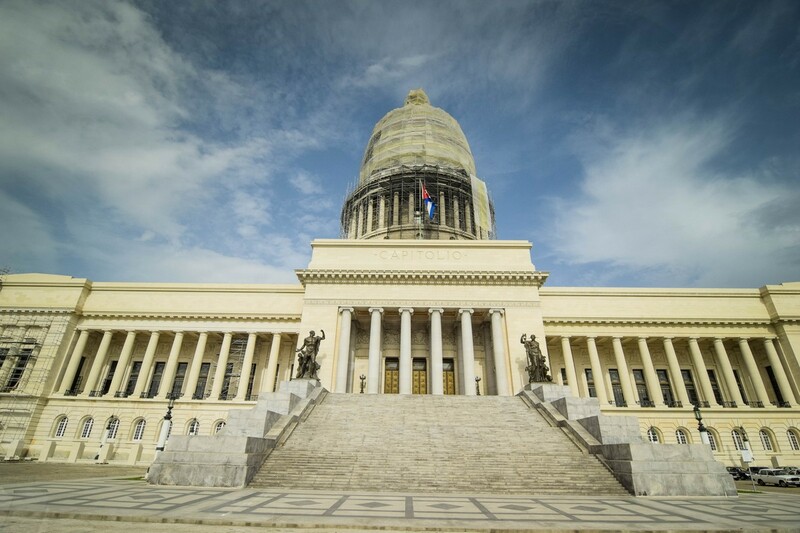 The capital of Cuba is home to unforgettable sights of the place where yesterday lives today. 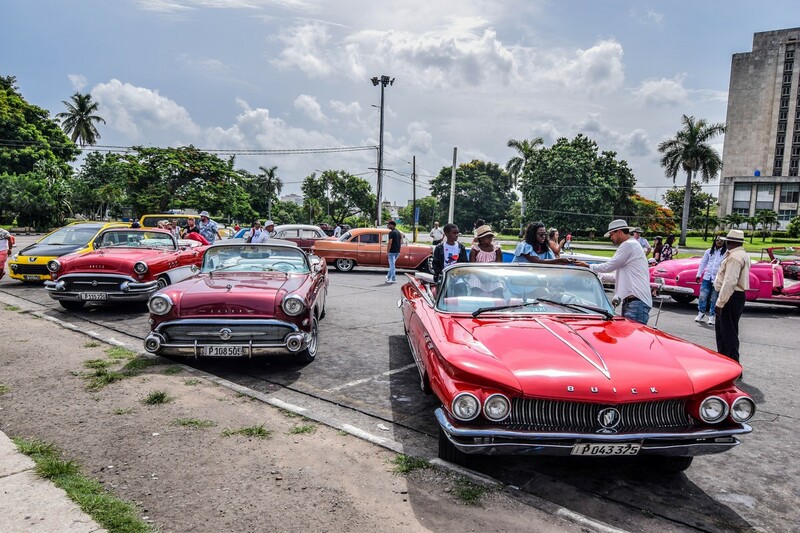 Guests can ride along the historic Malecón in a classic car guided by a local. Or experience one of the famed Cabaret Tropicana’s folklore-laden musical extravaganzas. 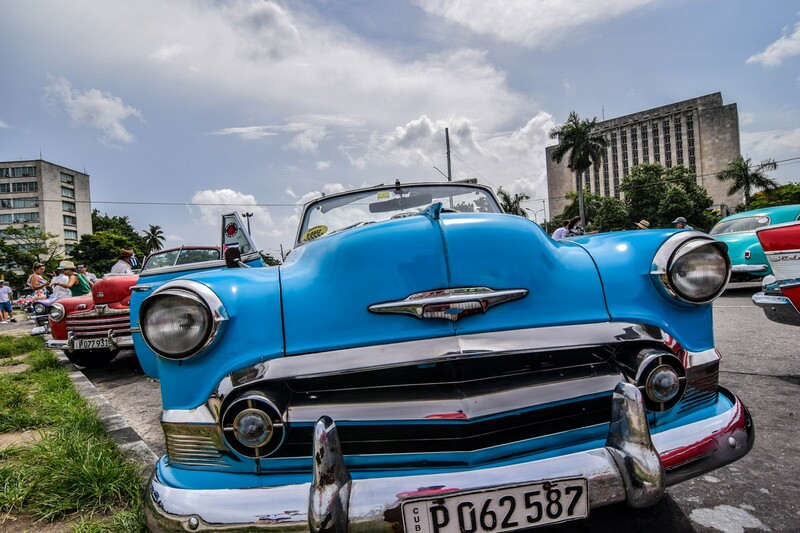 In Havana, timeless sights and sounds await around every corner. 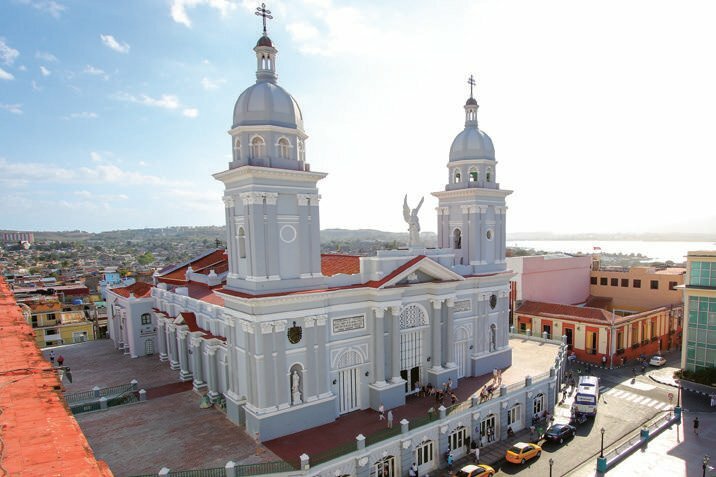 From castles to cathedrals, quiet parks to towering landmarks, Santiago de Cuba offers endless discoveries. 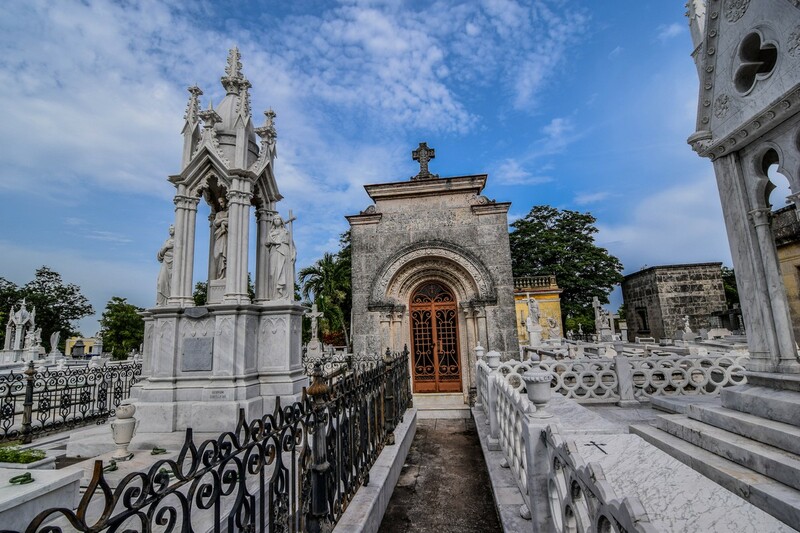 Guests can learn about Cuba’s spiritual heritage at the El Cobre cathedral. 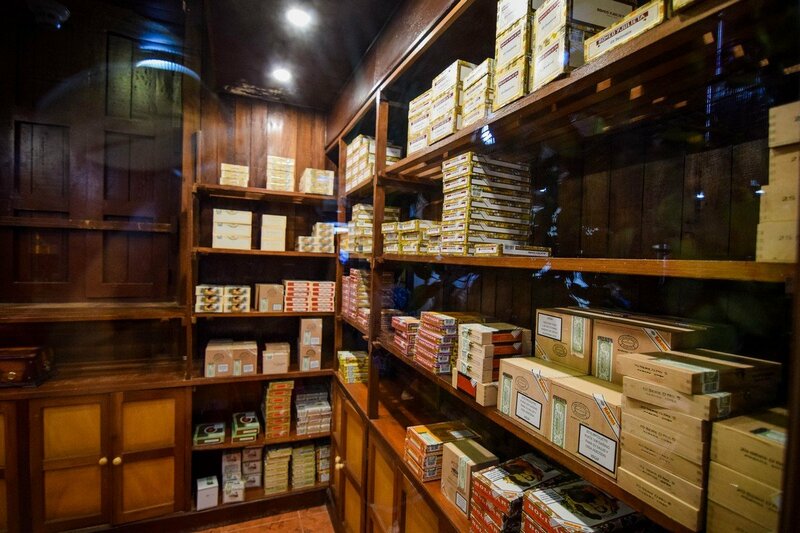 Discover how cigars are hand-rolled by locals at La Casa del Habano. And learn some Danzón steps from a local during one of the city’s many colorful carnivals. 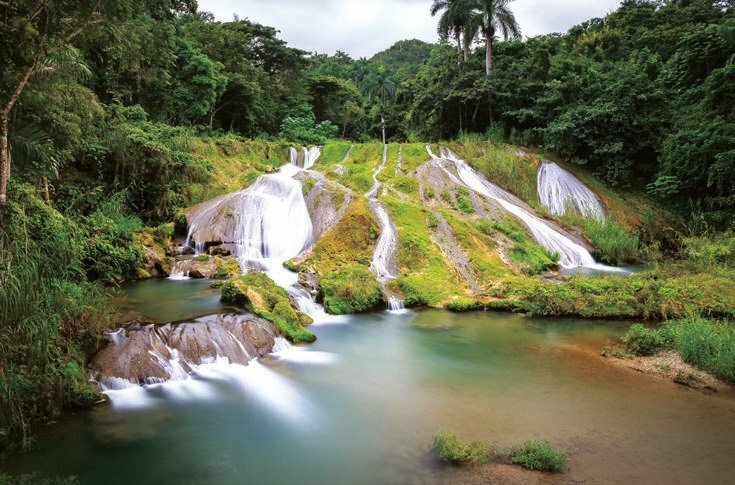 For a taste of Cuban culture that few get to savor, Cienfuegos is the place to be. Spot stalagmites in Martin Infierno Cave, explore forest trails in Parque El Nicho and soak up the city’s French-colonial history as you stroll past centuries old buildings. 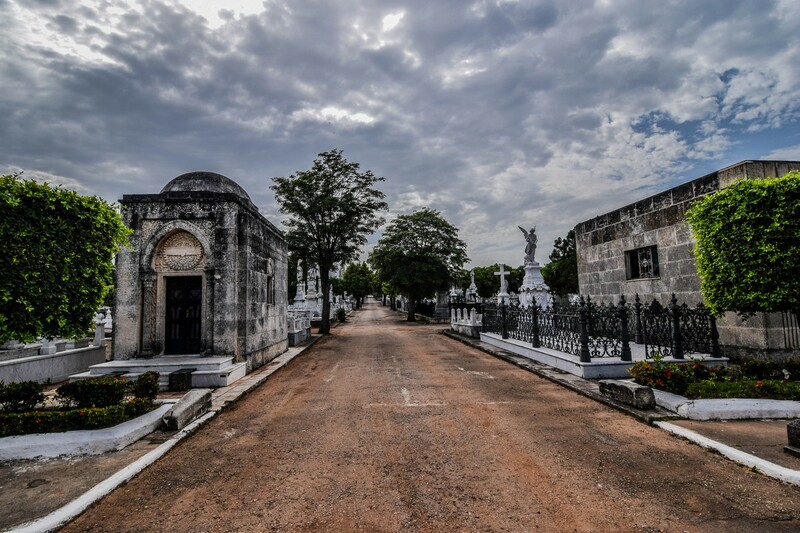 In Cienfuegos, paths lead to new discoveries. Before you cruise to Cuba on Royal Caribbean, here are some helpful things to know about Cuba cruises. 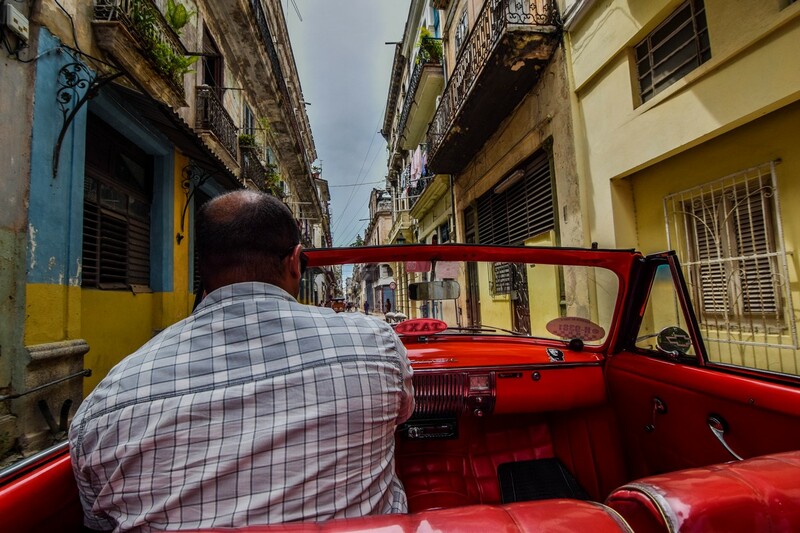 To enter Cuba, American citizens need to meet certain standards for at least one of the 12 categories of travel approved by the U.S. Treasury Department. Royal Caribbean will take care of providing each guest with a Cuban visa. The cost of a visa is $75 per person, and will be processed by the cruise line and will be waiting for you when you board the ship. You just need to sign an affidavit certifying participation in one of the ship’s excursions or ensure that you qualify for another category. In order to satisfy United States law, you will need to to fulfill on one of the allowed reasons for visiting, but that’s easy too. You just need to book a shore excursion that complies with U.S. requirements (this includes any Royal Caribbean shore excursion). Just be sure to know that a day tour must be booked; night tours alone won’t meet the requirement. The Cuban government requires all U.S. visitors to have health insurance coverage during their time discovering the island nation. Chances are, your current insurance will not cover you while in Cuba, but no worries: Royal Caribbean also has this covered for you, so there’s no extra work needed on your end. The cruise fare also includes a local health insurance fee should any medical attention onshore be required. Guests need their actual passport book — passport cards, birth certificates and driver’s licenses will not be accepted to go on-shore. Note: Make sure your passport is valid for six months past your sailing date. There are two main currencies in Cuba — the Cuban Peso (used by locals) and Cuban Convertible Peso (used by tourists). Most businesses accept cash-only, and small U.S. bills can be exchanged at the cruise terminal, in banks and exchange offices (ask for a “CADECA”), and in hotels. Like U.S.-based mobile phone service, credit card service can be equally limited on the island. Restrictions on U.S. credit cards have been lifted but banks and merchants are still working out what’s needed to support them. Your best bet is to carry cash while in Cuba. 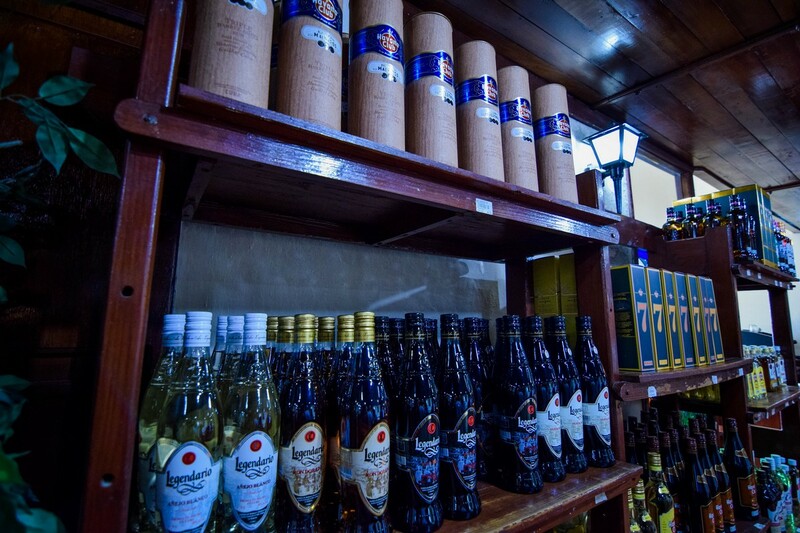 For the most part tourists are free to purchase goods to bring back and enjoy in the U.S. — even the world-renowned cigars and rum. Just make sure they’re bought from authorized sellers. In general, internet connectivity in Cuba is nearly non-existent, so do not expect to find WiFi access while on shore. Your best bet is to rely on your cruise ship's Voom high speed internet signal, which will work while the ship is docked in Cuba. Your U.S.-based cell phone might work in Cuba, but it’s safer to bet it won’t. Some carriers currently offer roaming service in the country, but like much of the tourism infrastructure, many providers are working on rolling out services to the island. Check with your carrier prior to sailing to Cuba to avoid any pricey fees. 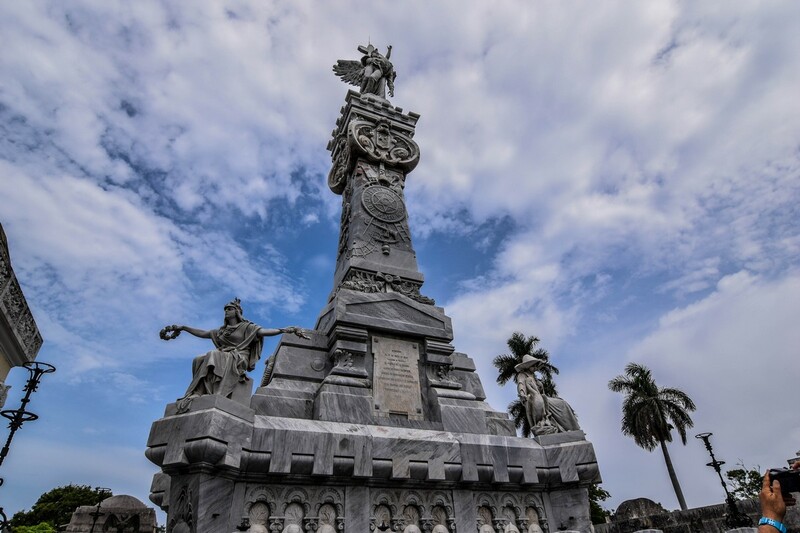 Many people visiting Cuba on a Royal Caribbean cruise are very likely visiting Havana for the first time, and for those that want to see the highlights of the Old City of Cuba's capital, Royal Caribbean's Old Havana City Sightseeing tour offers just that. 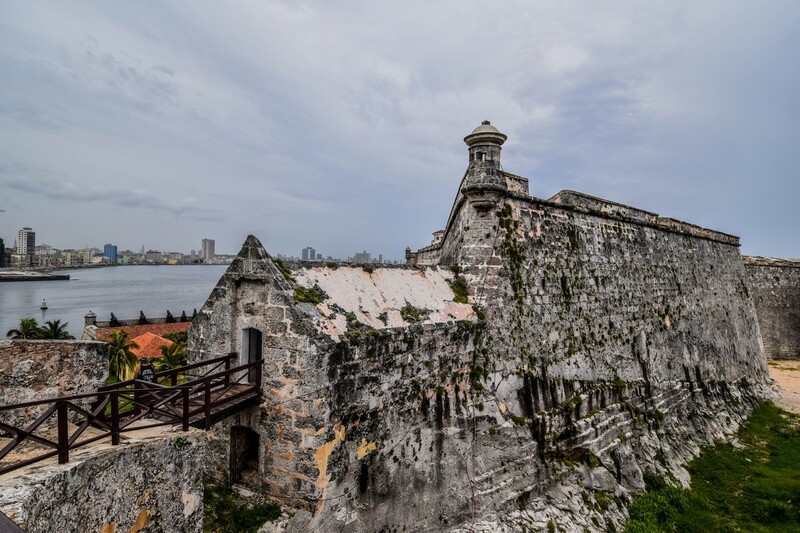 We were also one of those first timers in Cuba on a recent Majesty of the Seas cruise, and picked this tour as a way to cross off some of the most famous landmarks in Havana. It is impossible to see all of Havana in just one day, but this tour aimed to take us to the more popular spots. 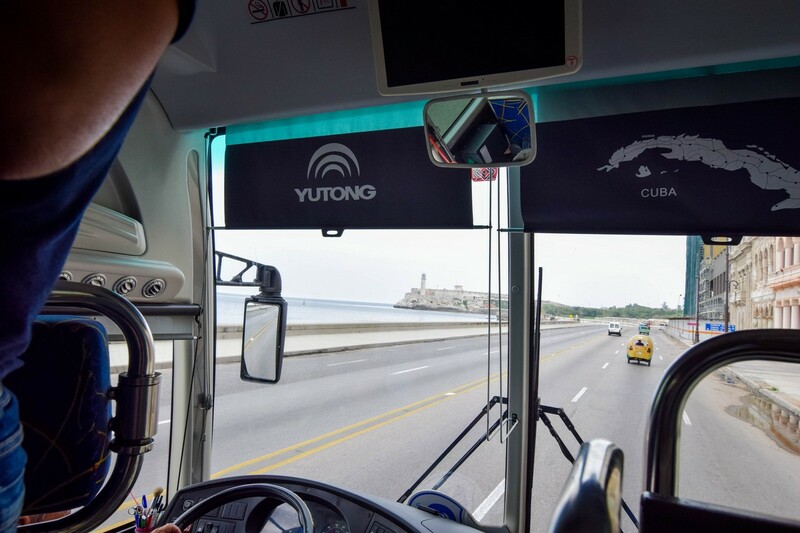 The Old Havana City Sightseeing tour is listed as a 4 hour bus tour that drives through much of Havana and offers stops at four places along the way. This tour is offered directly by Royal Caribbean, and we booked the tour prior to the cruise. 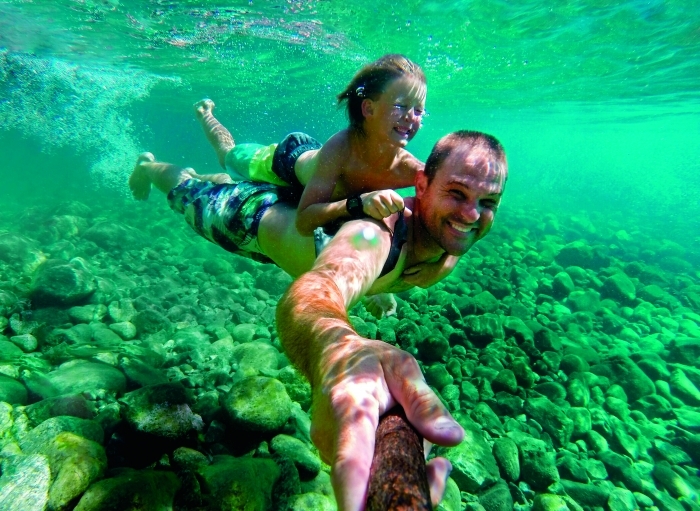 The list price for this excursion is $99 per adult and $79 per child. 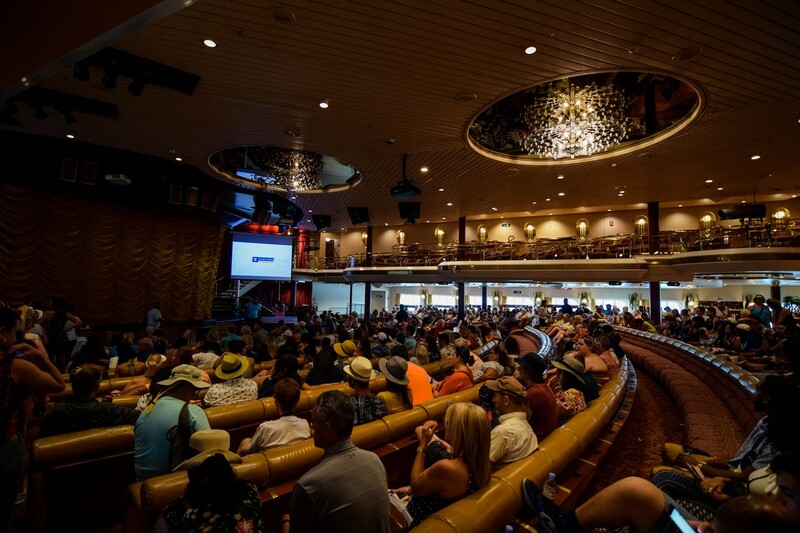 In the case of this tour, guests are instructed to meet onboard the cruise ship in the ship's theater. Royal Caribbean splits up guests among different buses, with each bus on its own schedule and with its own tour guide. When it is time for your tour group to depart, Royal Caribbean escorts guests off the ship, through Cuban Customs and onto a waiting bus. This may sound simple, but it does take quite a while. Going through Cuban Customs, security and money exchange goes at a snails pace in a very un-air conditioned building. I estimate it took us 90 minutes to go from when we arrived at the theater to actually boarding a bus. 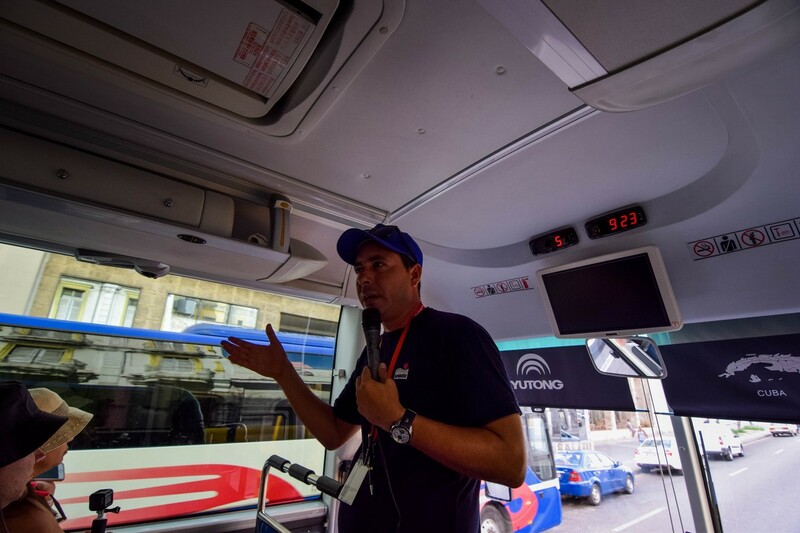 Once on the bus, your tour leader will introduce themselves and welcome you aboard. By far the best part of the tour is the fact you will go all around Havana in an air conditioned coach bus. I cannot understate the value of having an air conditioned base of operations to fall back on. Havana is quite a hot and humid place to visit, and unlike so many other spots in the Caribbean, air conditioning is quite rare in Cuba. While on our tour, we had the same bus, bus driver and tour leader for the entire duration of the excursion. This meant we could leave anything we wanted onboard the bus and it would be waiting for us when we got back. The exact order you visit may vary, as our tour guide optimized the tour to visit spots with little to no shade earlier in the day and save the spots with shade for later in the day. A great deal of other sights will be visible from the bus as you drive through Havana and your tour guide will narrate the entire trip. Many blog readers asked us after the tour if there were any restrictions on what we could see or photograph and there really were none. Our tour guide was more than happy to answer any and all questions we had and helped shed some light onto the Cuban way of life. 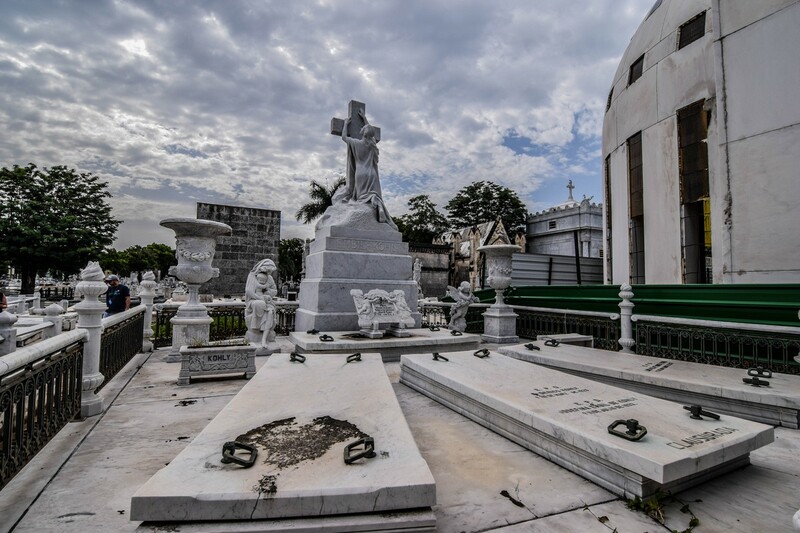 Our first stop was the Colon Cemetery, which is where a great deal of Cuba's most famous filmmakers, politicians and baseball players are buried. 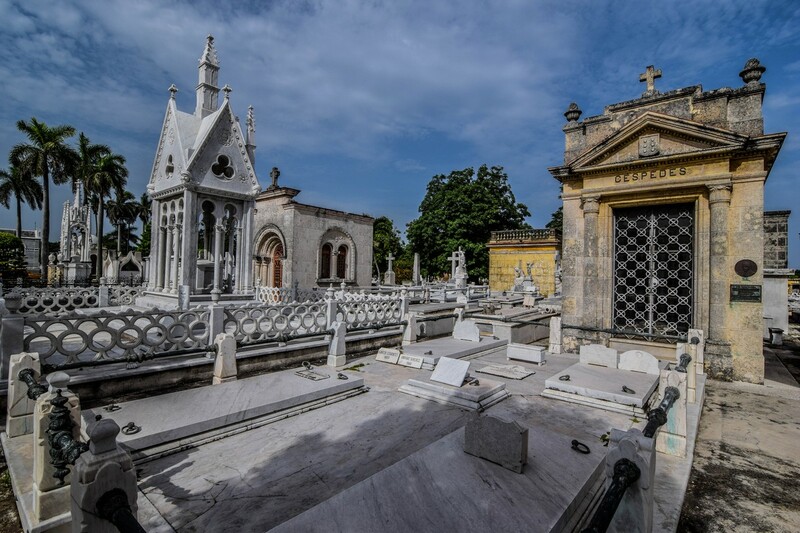 The bus dropped us off towards the entrance, and then a special guide escorted us through the cemetery and pointed out some of the more famous mausoleums. 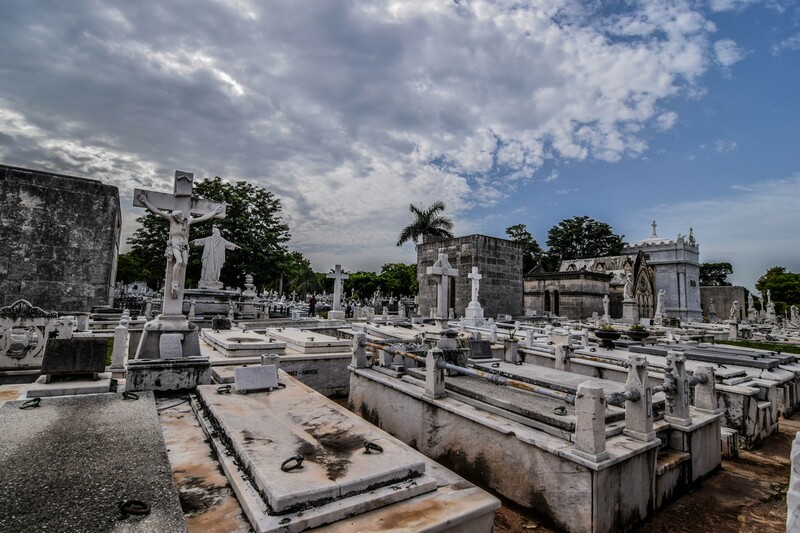 The cemetery is massive, and there is not enough time to even see half of it, but it was incredible to see the detail in some of the burial spots. 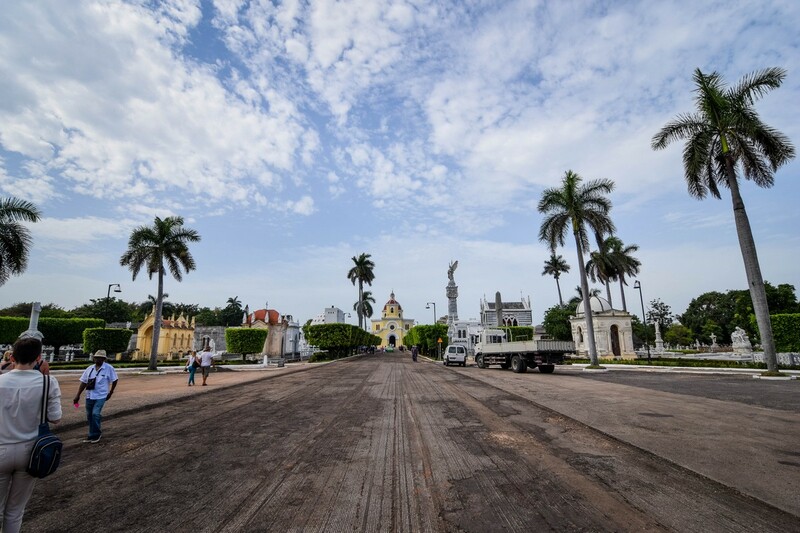 Our next stop was Revolutionary Square, where some of Cuba's most famous speeches were given. Odds are if you watch an old news reel of some of Cuba's early days following the Communist Revolution, you will see someone speaking from this area. It is basically a very large parking lot, with some government buildings surrounding it. There is also a fleet of classic American cars (or at least the exterior of classic American cars) that double as taxi drivers show off in the area. After a quick introduction to the history of this area, we were given some time to walk around on our own and check it out. Most people tended to flock towards the classic cars to see them up close and take photos with them. There is no cost to any of this (unless you opt for a ride), although if you get into the car, a tip is customary. 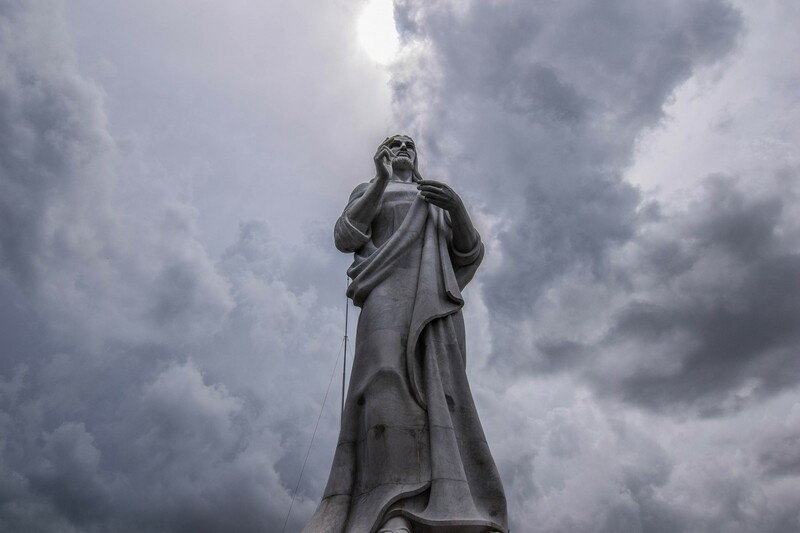 Our next stop goes to check out Cuban sculptor Jilma Madera’s Cristo de la Habana statue, which keeps watch over the bay from a hilltop. 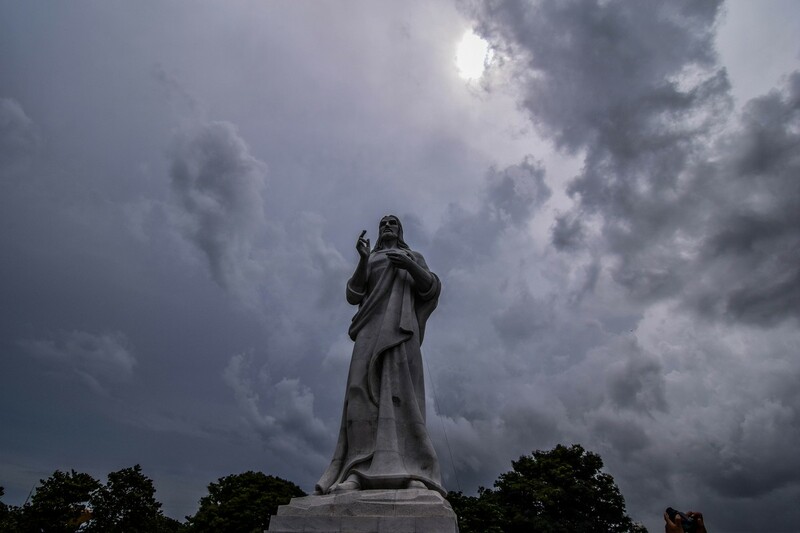 The Christ of Havana statue is a large sculpture representing Jesus of Nazareth that was commissioned in 1953. 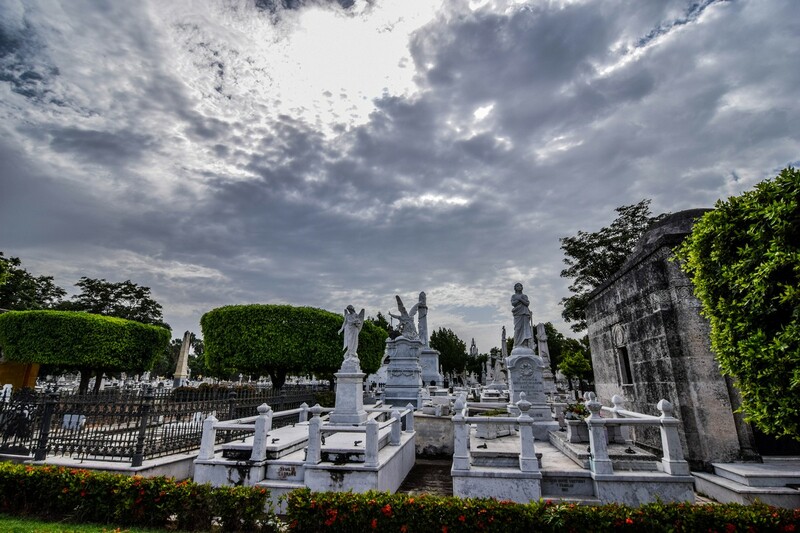 The statue was carved out of white Carrara marble, the same material used for many of the monuments of the Colon Cemetery. The statue is about 20 metres (66 ft) high including a 3-metre (10 ft) base. 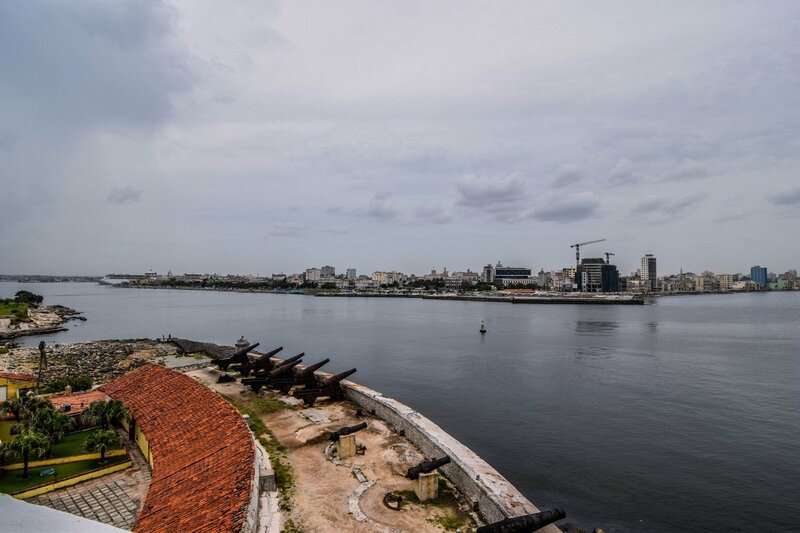 The park where the statue is located provides a great view of Havana, your cruise ship and the harbor. 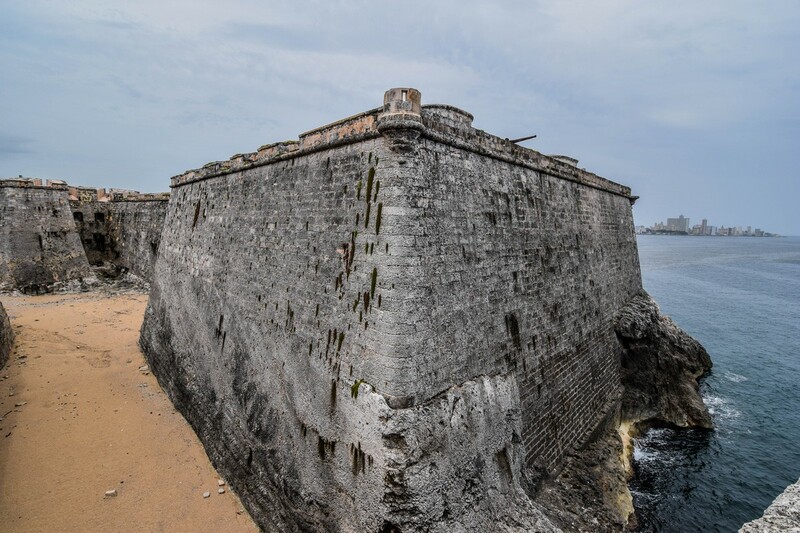 The final stop took us to Morro Castle, a stately fortress at the mouth of Havana harbor. Not only is the castle a fine example of Spanish colonial defenses, but there is also a bit of shopping you can do inside and outside the fort. The tour does not actually include admission to the fort, but you do get to go inside a small part of it that leads up to the entrance. 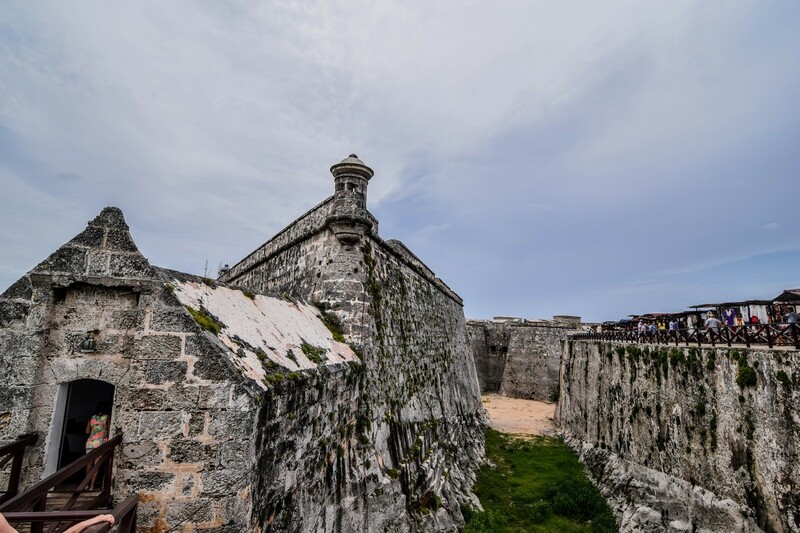 You are free to walk the grounds of Morro outside and explore without any cost. When you get off the bus, there are a number of shops set up outside the fort you can browse. 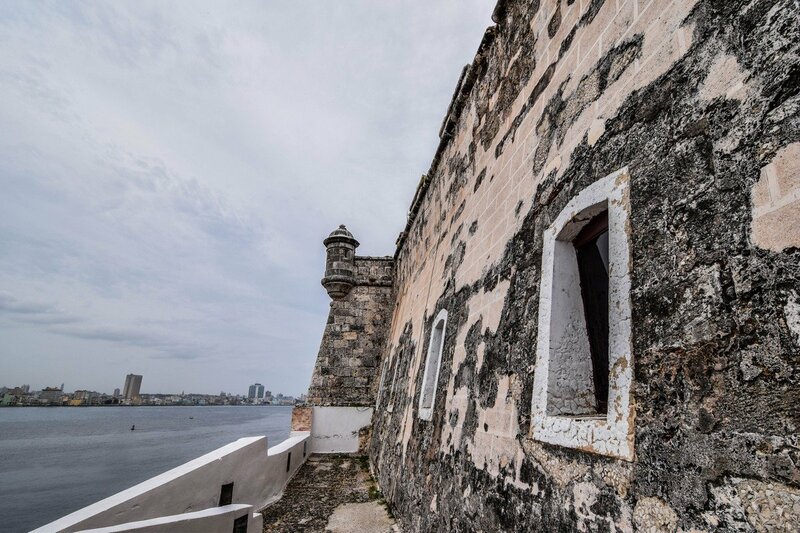 In addition, you will be taken into a rum and cigar shop inside the fort that is optional to visit. Most of the stops are 15-30 minutes in length. The stop at Morro took about one hour and the Colon Cemetery was closer to 30 minutes. At the conclusion of the tour, the bus returns to the port area, although you are free to tour on your own after that. 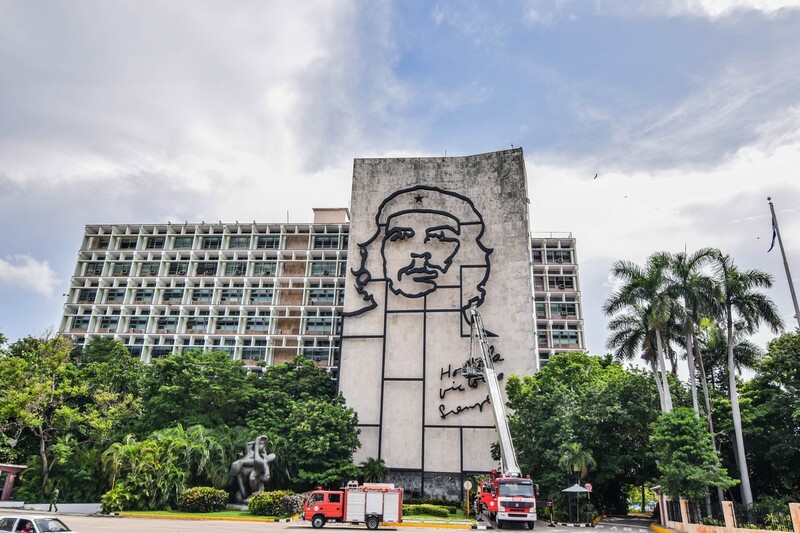 Going to any port of call for the first time means you likely have your own list of landmarks you would like to see, and Havana certainly has plenty of good candidates. The Old Havana City Sightseeing does a good job at providing an introduction to Havana and overview of some of the more notable spots. Of course, this is a group bus tour, which means the pace of the tour is largely dictated by the tour leader (and whomever shows up last to board the bus) and it does not leave a lot of room for personal exploration. That is not necessarily a bad thing either, but do not expect a hands-on walking tour of the city. The best part of this excursion is the air conditioned bus. 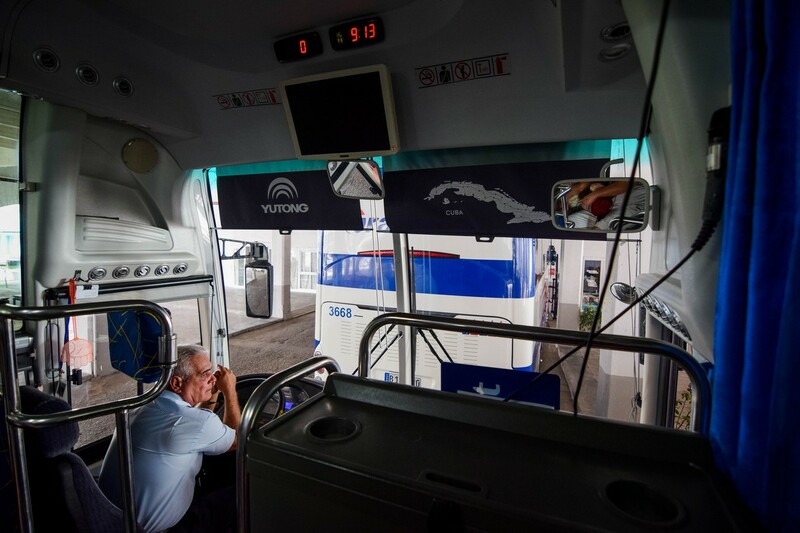 Having a bus to go back to between stops and relax, recuperate from the heat and humidity, and rest makes for tackling a city as large as Havana much easier. Everyone's patience is higher when air conditioning is involved and after taking this tour in July, I do believe it helped make the overall experience better. Our tour guide was also very knowledgeable about Cuba's history and current role today. He encouraged us to ask questions and always took the time to explain concepts and programs that are not something you may find elsewhere in North America. 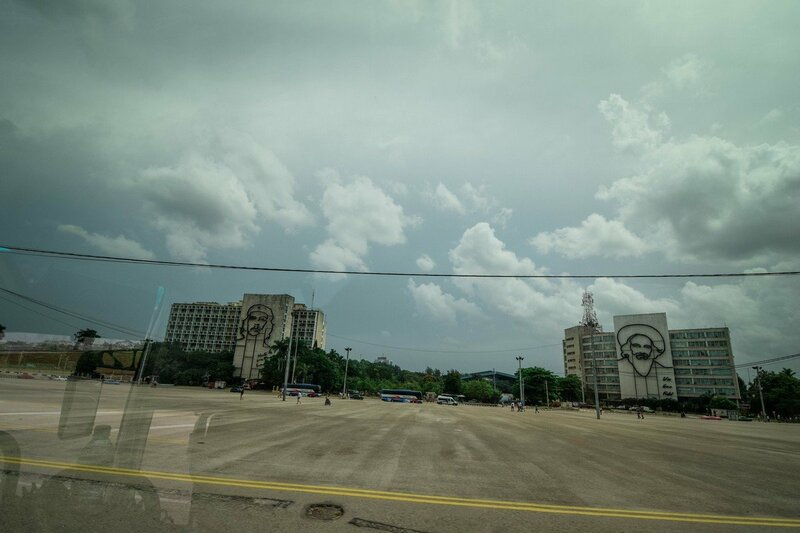 Between the places we stopped to see and the many other places we saw from the bus, I felt the Old Havana City Sightseeing excursion provided a great starting point for my first visit to Cuba. I may have preferred slightly more time on my own to explore, but the tour was perfect for anyone who has never been to Havana previously. Cost: $99 per adult, $72 per child. 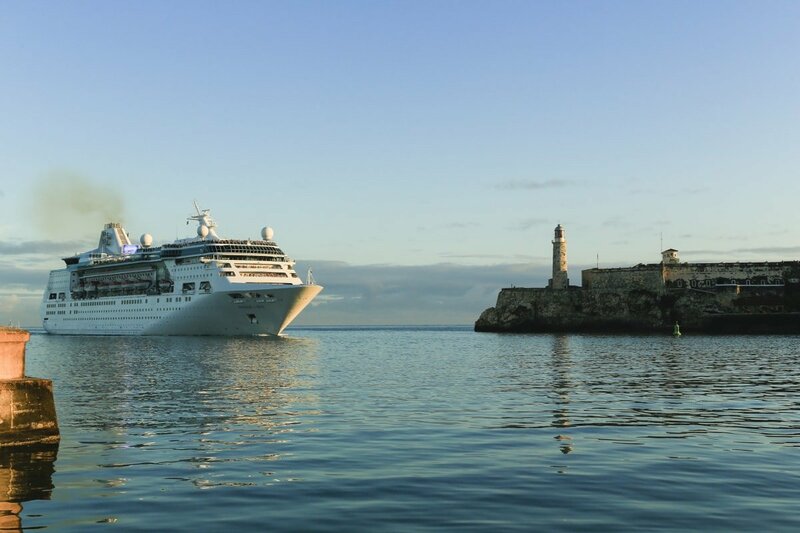 Royal Caribbean released today its Short Caribbean and Cuba itineraries for its two smallest cruise ships, Empress of the Seas and Majesty of the Seas. The new sailings are available for booking now, and run from April 2019 through the end of December 2019. Majesty of the Seas will sail from Fort Lauderdale and offer 4-, 5, and 7-night itineraries to stops in Cuba, the Bahamas and Western Caribbean. Some itineraries include overnight stops in Havana, Cuba. Empress of the Seas will sail from Miami, Florida and offer a variety of sailings to multiple ports in Cuba, along with visits to other Western Caribbean ports. Empress will not only offer overnight stops in Havana, but will also visit other Cuban ports, such as Cienfuegos and Santiago de Cuba. You can view a full list of 2019 itineraries for Majesty of the Seas and Empress of the Seas. 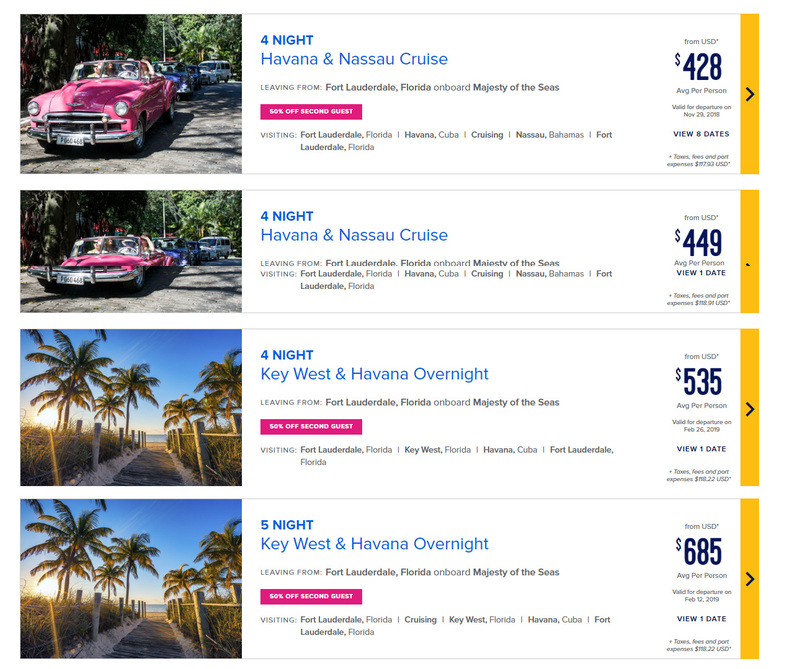 Royal Caribbean is offering guests a $50 instant discount on Cuba sailings on Majesty of the Seas or Empress of the Seas when using the promo code 'CUBA'. Cruise must be booked between May 22 and May 31, 2018 and applies to select sailings departing on or after 6/22/18. $50 instant savings for those guests booked on any Cuba sailing departing on Empress or Majesty of the Seas between 6/22/18 and 4/10/20. 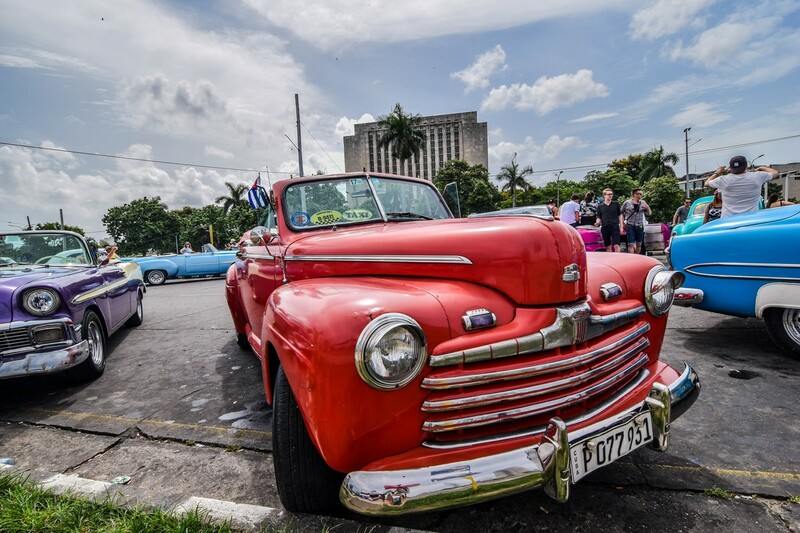 Promo code CUBA must be entered or provided at the time of booking to be able to receive the promotional offer. “Kids Sail for Free Offer”offers free cruise fare for 3rd guests and higher who are 12 years old or younger on 4 nights or longer Europe, Bahamas, Bermuda, Hawaii, Canada, Coastal and Caribbean sailings departing between 9/1/18 – 5/31/19. The Kids Sail Free Bonus excludes sailings between 11/17/18 – 11/23/18, sailings between 12/17/18 – 1/1/19 sailings between 2/15/19 – 2/18/19, sailings between 3/16/19 – 3/30/19 and sailings between 4/13/19 – 4/22/19. Instant savings amount shown in USD and will be converted to currency used for cruise purchase. Offer is combinable with select promotions. 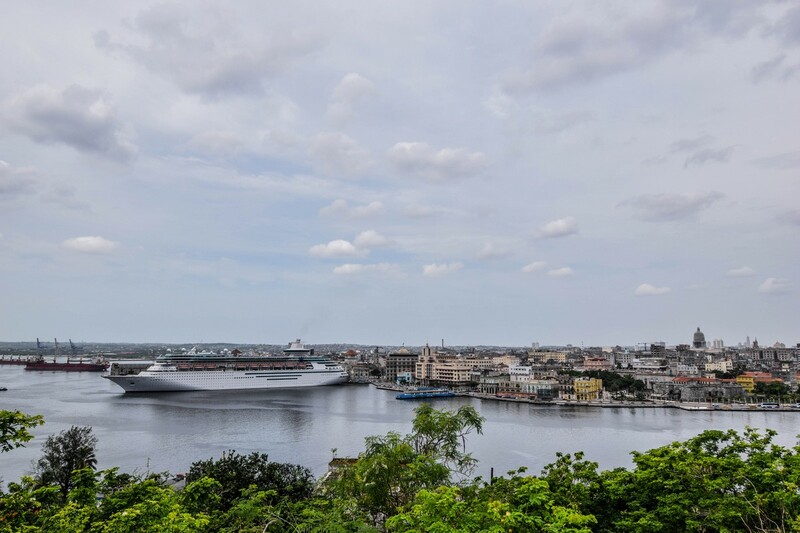 Royal Caribbean now is sailing to two exciting new ports, in addition to visiting the nations's capital of Havana, guests can now explore Santiago de Cuba and Cienfuegos on the southeast coast of the island. Plus, guests can stay overnight and experience the island’s vibrant night life. Royal Caribbean released a new batch of 2018-2019 sailings to Cuba on Majesty of the Seas from Fort Lauderale, Florida. These new sailings are available for booking and begin in November 2018 and extend through March 2019. There are also a number of other Majesty of the Seas sailings from Fort Lauderdale, that visit destinations in the Western Caribbean. Majesty of the Seas will offer 4- and 5-night sailings to Cuba, including some overnight stays.